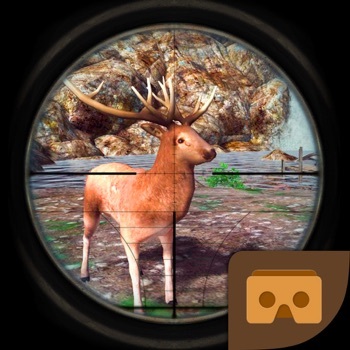 Hunt in virtual reality while experiencing the thrill of being in the wild nature.Use your weapon to kill animals as much as you can, but be sure to watch your ammunition as you can easily run out of bullets. To avoid doing so pick up an ammo box while playing. Score as much as you can and share your results with your friends and other players worldwide in our live leaderboard. For best experience use Google Cardboard and headphones.